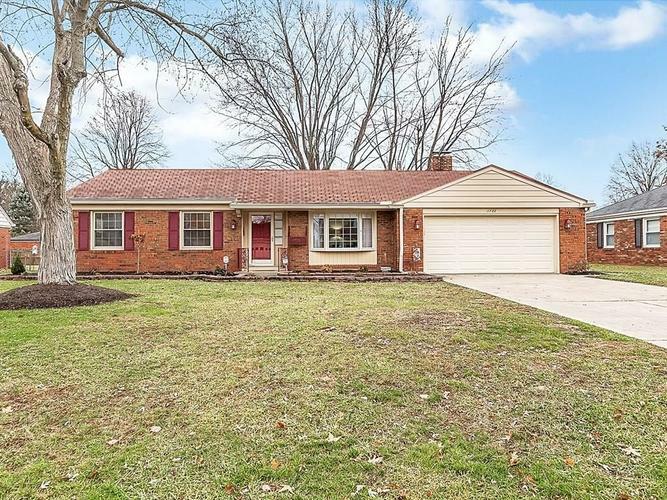 Welcome Home to this Charming All Brick Ranch home in Van Buskirk Heights! Move in Ready and Super cute! Nearly 1800 sq ft with a 3 Season Sunrm! Many Many upgrades, This home is Fresh, Bright & Clean! Hardwood flrs throughout, (brand new living & dining) Lrge Bay Window, Spacious Dining area, Wonderful Updated Kitchen w/upgrade Cabinets, Granite Countertops & Breakfast Bar. Updated appliances w/Gas Stove, Dishwasher, Trash Compactor, Refrig, & Washer & Dryer, Central Vacuum included! Enjoy the Lovely Family rm w/Brick Hearth Gas Fireplace to cozy up on those cold nights! Wonderful Master that offers a Full Bath w/Walk-shower. Enjoy the Lrge yard w/Brick patio, Mature Trees, Fenced Yard & Storage shed. Close to Anderson Country Club & Golf! Directions:Madison Avenue to Van Buskirk Rd, then west to right on Northwood Dr. to right on Hillcrest. Home on left side.